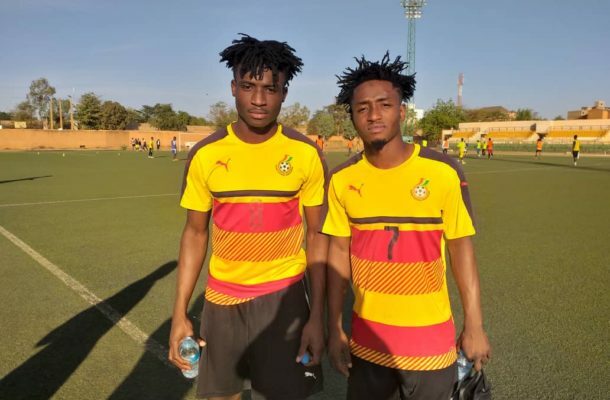 On the 3rd of February 2019, the Ghana U-20 men’s football team known as the Black Satellites will make a return to the U-20 Africa Cup of Nations after missing out on the last edition. Having missed the party in Zambia two years ago, the Satellites were eager to return to the big stage, and did not leave any stone unturned in the qualifiers, crossing every hurdle along their path and confirm their ticket to Niger. The team launched their campaign against Algeria with the first leg in Algiers ending goalless. Ghana won the second leg in Cape Coast 2-0 for a date with Niger at the final round. Jimmy Cobblah’s side won the first leg played in Cape Coast 3-1 before drawing 1-1 in Cotonou to seal qualification. The Ghanaians boast of an enviable record of being the African side to lift the FIFA U-20 World Cup title – in 2009. They were also continental champions in 1995, 1999 and 2009. With four places to the World Cup at stake in Niger, the West Africans will be hoping to pick one of them to make a return to the global stage. Their last outing was in 2015 in New Zealand. With such rich history behind them, Cobblah and his side know too well that they can’t afford to fail the nation, especially having failed to qualify to the last edition. “We know the hope of the nation lies on our shoulders and that is why we are seriously preparing for the tournament. The team is gradually taking shape and the players are responding to the tactics and instructions of the technical staff, and that is a good sign that they want to achieve something”, Cobblah mentioned in an interview before the team left Ghana on Monday to Niger to continue with preparations. “After gaining qualification, we have not rested on our oars but have been in camp all this while preparing. A few players came in to justify their place in the current squad. Some made it, some didn’t and the players you here are the ones we the technical staff believe can do the job better”, he added. Placed in Group B, the Satellites will have to contend with Senegal, Mali and Burkina Faso for a place at the last four. In the build-up to tourney, they suffered defeats in their last two test matches to elite sides, Dreams and Hearts of Oak, before falling to two second half goal against the host Niger last Wednesday in Niamey. Before those three defeats, the team recorded cricket score lines in almost all their friendly matches they played against lower division teams with their highest win being the 9-0 thrashing of Victoria FC. Six of the players who represented Ghana at the Under-17 level in India two years ago have been promoted and they include, Emmanuel Toku, Saddick Ibrahim, Danlad Ibrahim, Kudus Mohammed, Gideon Mensah and Sule Ibrahim. Emmanuel Toku - He is one of the six players promoted from the U-17 side that featured World Cup in India. A great passer of the ball, the young midfielder with immense dribbling skills is a nightmare to opposing defenders, midfielders and goalkeepers. Toku plies his trade in Ghana with third-tier side, Cheetah. Another player to watch is captain of the team, Isshaku Konda. The lanky defender who has a knack of joining the attack is one of the many reasons Ghana is making a return to the continental stage. He was part of the squad that failed to qualify to the previous edition in Zambia. He has good aerial abilities and also a good passer of the ball. Ghana is coached by experienced trainer, Cobblah, who has had stints with Ghanaian elite sides such as Wa All Stars and Inter Allies. He also had stints with second-tier outfits, Danbort and Heart of Lions. Cobblah has set his sights on qualification to the U-20 World Cup slated for Poland this year. “We are on course because we’ve had enough preparation. I am very confident because every member of the team can play in more than two positions. So far, the team is taking shape and we believe it will be by the time the tournament starts,” he concluded.